Listed here are Scandinavian, or Scandinavian style cased vases with a 'hooped' or 'baluster' design. Many of them may in fact not be from Scandinavia, although they are made in an obvious Scandinavian style. More information will be added as we discover it. If anyone has additional info about manufacturers, designers or country of origin for these vases, we would like to hear from you. Hooped cased uranium yellow glass vase, Scandinavian style, actually made in Italy. Hooped cased orange glass vase, Scandinavian style, actually made in Italy, labelled. 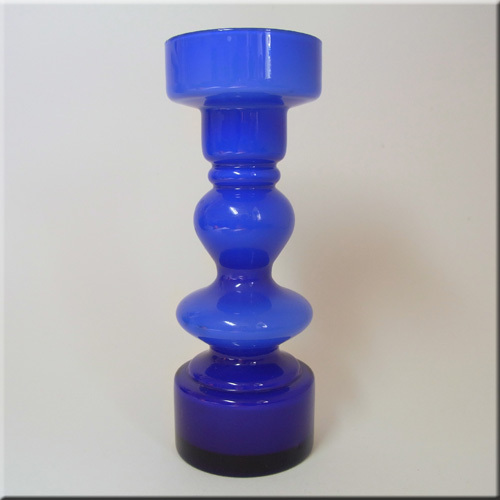 Hooped cased blue glass vase, Scandinavian style, actually made in Italy. Hooped cased yellow glass vase, probably Scandinavian, possibly modern & made for Ikea. Scandinavian style hooped blue cased glass vase, made in Italy, seen in a forum thread here with a label saying "Genuine Hand Made In Italy Arno Arte Toscana". Scandinavian style hooped amber cased glass vase, made in Italy, seen in a forum thread here with a label saying "Genuine Hand Made In Italy Arno Arte Toscana". Scandinavian style hooped green glass vase, actually made in Japan, labelled. Scandinavian style hooped blue cased glass vase, actually made in Japan. 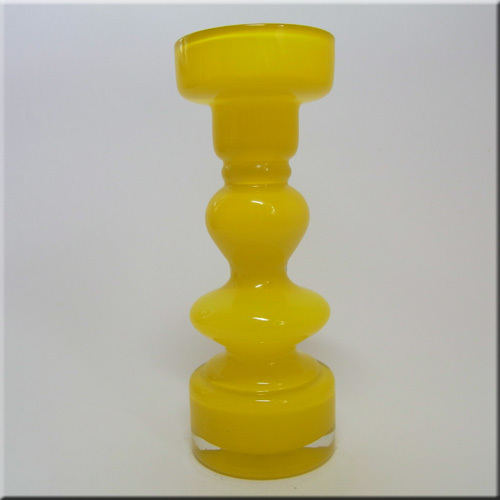 Scandinavian style hooped yellow cased glass vase, actually made in Japan. Scandinavian style hooped orange cased glass vase, actually made in Japan. Scandinavian style hooped red cased glass vase, actually made in Japan. Scandinavian style hooped amber cased glass vase, actually made in Japan. 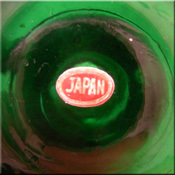 Scandinavian style hooped green cased glass vase, actually made in Japan. Hooped cased red glass vase, probably Scandinavian/Swedish. Hooped cased turquoise glass vase, probably Scandinavian/Swedish. Hooped Scandinavian/Swedish cased blue glass vase, probably made by Lindshammar (Swedish). 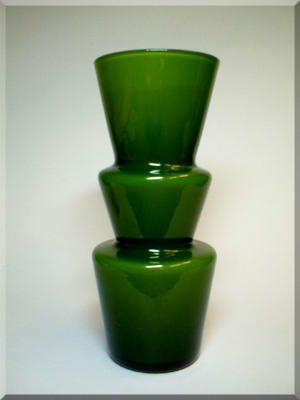 Scandinavian style hooped green cased glass vase. Scandinavian style hooped blue cased glass vase. Scandinavian style hooped amber cased glass vase. Scandinavian style hooped blue cased glass vase, actually made in Japan. Ref: click here Scandinavian style hooped orange cased glass vase, actually made in Japan. Ref: click here Scandinavian style hooped green cased glass vase, actually made in Japan. Ref: click here Scandinavian style hooped blue cased glass vase, actually made in Japan. Scandinavian style hooped purple cased glass vase, probably made in Japan. 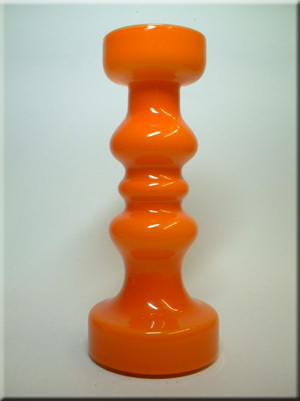 Hooped cased orange glass vase, probably made in the Italian region of Italy. Hooped cased blue glass vase, probably made in the Italian region of Italy. 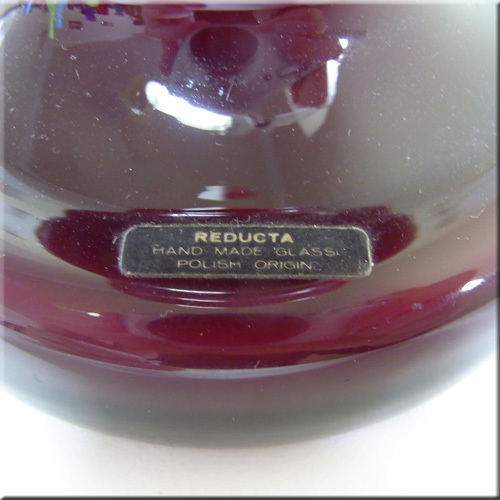 Hooped cased red glass vase, probably made in the Italian region of Italy. Scandinavian style hooped purple cased glass vase, probably made in Japan. Scandinavian style hooped amber cased glass vase, probably made in Japan. Scandinavian style hooped green cased glass vase, probably made in Japan. Hooped cased green glass vase, probably Scandinavian/Swedish. 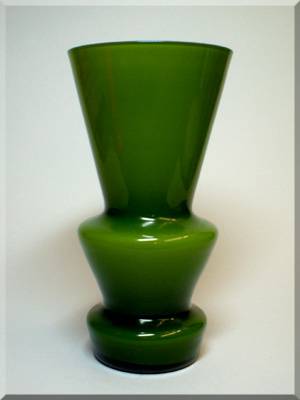 Hooped cased green glass vase, made by Lindshammar (Swedish). 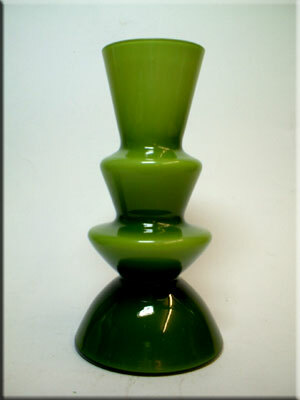 Ref: click here Hooped cased green glass vase, made by Lindshammar (Swedish). 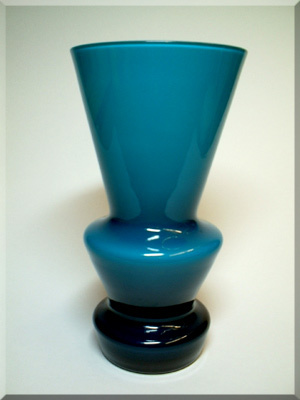 Hooped cased blue glass vase, made by Lindshammar (Swedish). 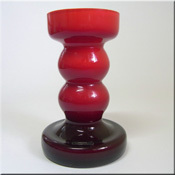 Ref: click here Hooped cased red glass vase, made by Lindshammar (Swedish). 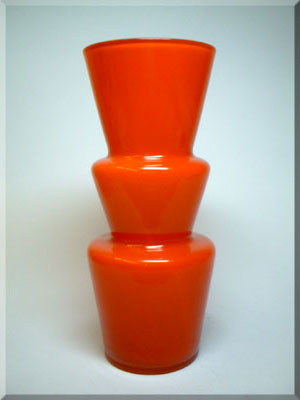 Ref: click here Hooped cased orange glass vase, made by Lindshammar (Swedish). Ref: click here Hooped Scandinavian/Swedish cased blue glass vase, made by Lindshammar (Swedish). Hooped orange cased glass vase, Scandinavian style, actually made in Germany by Friedrich, Manufacturing label on side, and West German export label to base. 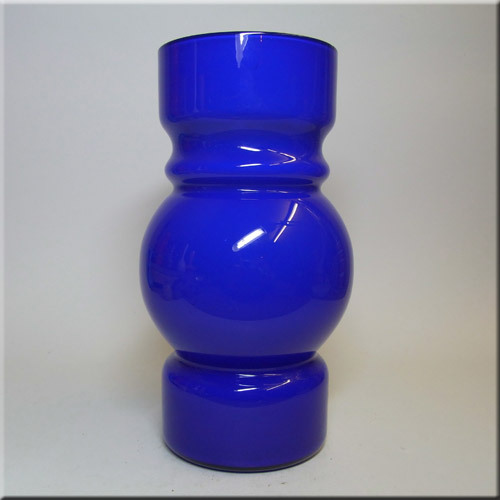 Hooped blue cased glass vase, Scandinavian style, actually made in Germany by Friedrich, West German export label to base. 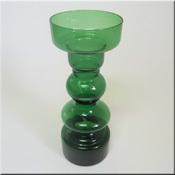 Hooped Scandinavian/Swedish cased green glass vase, probably made by Lindshammar (Swedish). 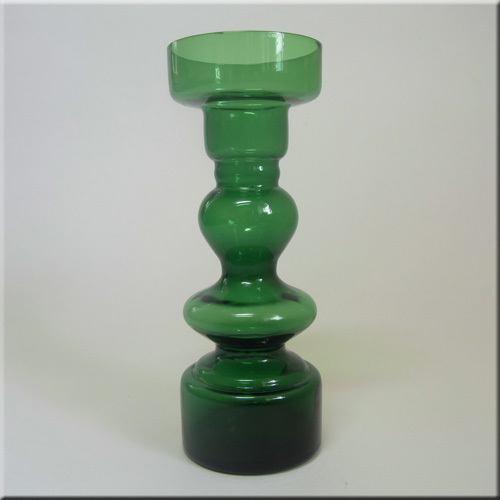 Hooped green cased glass vase, Scandinavian style, actually made in Germany by Friedrich. Hooped purple cased glass vase, Scandinavian style, actually made in Germany by Friedrich. 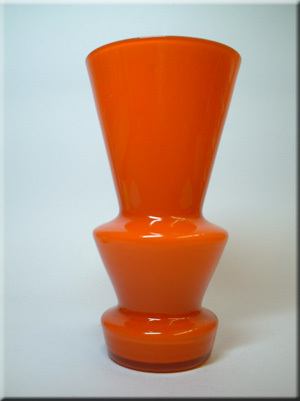 Hooped orange cased glass vase, Scandinavian style, actually made in Germany by Friedrich. Hooped cased green glass vase, probably Scandinavian or German. Hooped cased grey glass vase, probably made in the Empoli region of Italy. 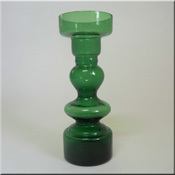 Hooped cased green glass vase, probably made in the Empoli region of Italy. Hooped cased orange glass vase, probably made in the Empoli region of Italy. Hooped Scandinavian/Swedish cased blue glass vase, made by Lindshammar (Swedish). Hooped red cased glass vase with white interior, Scandinavian style, made in Poland and imported to the UK by Reducta, labelled. Hooped amber cased glass vase with white interior, Scandinavian style, made in Poland and imported to the UK by Reducta. 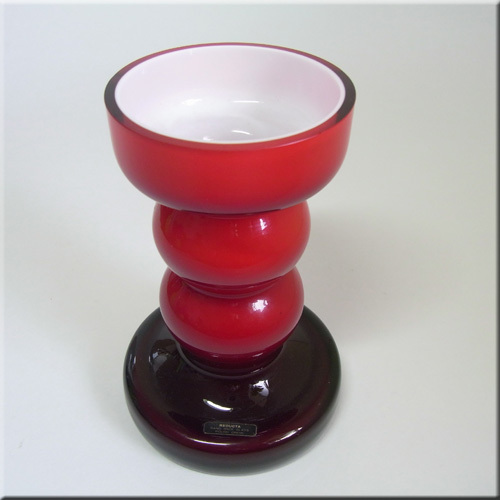 Hooped red cased glass vase with white interior, Scandinavian style, made in Poland and imported to the UK by Reducta. 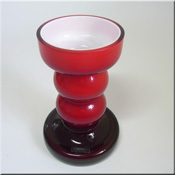 Hooped red cased glass vase with white interior, Scandinavian style, made in Poland and imported to the UK by Reducta. Hooped cased red glass vase, probably Scandinavian/Swedish. Hooped cased red glass vase, probably Scandinavian/Swedish. 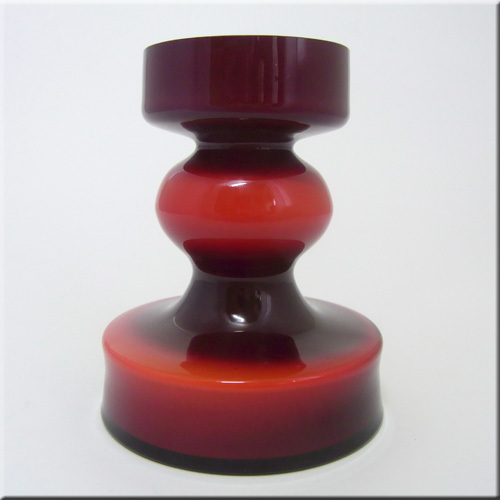 Hooped orange + red cased glass vase with white interior, Scandinavian style, made in Poland. Hirschberg German blue cased glass hooped vase, labelled. 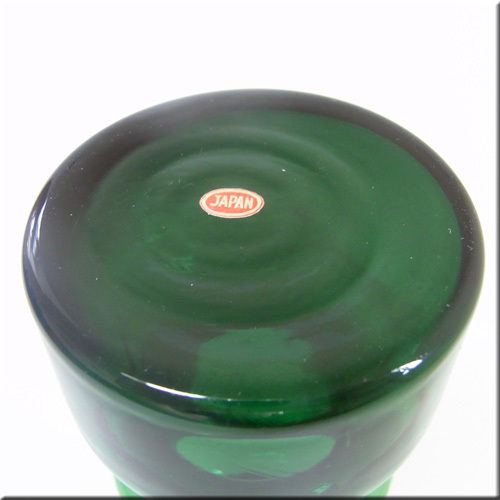 Alsterbro Swedish green cased glass hooped vase with interior white casing, labelled. 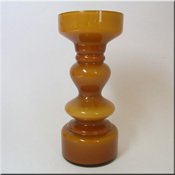 Scandinavian style hooped cased amber glass vase, possibly Scandinavian, Italian or Chinese. Scandinavian style hooped cased blue glass vase, possibly Scandinavian, Italian or Chinese. Hooped cased red glass vase, probably Scandinavian/Swedish. Hooped cased white glass vase, probably Scandinavian/Swedish. Hooped amber glass vase, probably Scandinavian or German. Hooped purple glass vase, probably Scandinavian or German. Hooped purple glass vase, probably Scandinavian or German. Hooped green glass vase, probably Scandinavian or German. Hooped blue glass vase, probably Scandinavian or German. Hooped green glass vase, probably Scandinavian or German. Hooped green glass vase, probably Scandinavian or German. 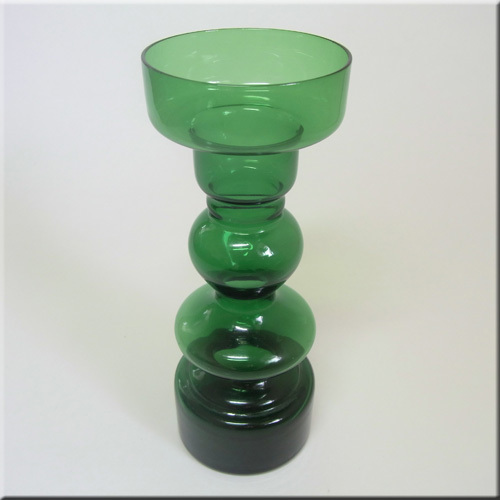 Hooped olive green glass vase, probably by Ingrid Glass of Germany. 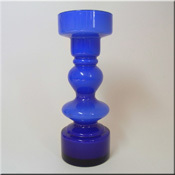 Scandinavian style hooped blue cased glass vase, probably by Hirschberg of Germany.